What do you understand about biohacking? The term biohacking pertains to a do it yourself procedure in the field of Biology that directly helps in improving body performance, agility, and strength but this process is best attained when performed by experts. This is why, we, at Ascend Adaptation and Regeneration highly offers a wide array of biohacking procedures that accurately help our clients boost their full performance in any sport or other physical activities that requires fitness and endurance. Our company commits to provide customer-centered strategies and services that accurately suit the individual needs of athletes and individuals who want to achieve physical fitness. 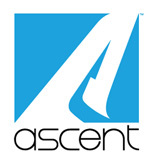 How Ascend can aid your fitness needs? Aside from biohacking, our company offers a wide range of other activities and courses that will surely restore your stamina and level up your energy. We deliver out of the box gym ideas using innovative and top of the edge technologies rarely offered in any fitness institutions. Our services are rooted in the latest integrative research to precisely determine the exact needs of our consumers regarding physical health. Thus, we are able to identify the major factors that greatly affect the holistic performance and strength of our customers. These include nutrition factor, blood flow, oxygen body intake, and detoxification process. These become our primary key in body regeneration procedure as well as in performing biohacking approaches. In addition, we also offer what we call the CVAC which pertains to Cyclic Variations in Adaptive Conditioning which is used to improve the body’s responses as well as resilience to various stress factors. This is actually done through the use of certain pressure method in which the density of the air, the temperature, and composed pressure are changed at a certain level so that the body can feel the same amount of energy used when doing physical activities such as exercising or intense workout. In this way, CVAC can help you reduce weight without exerting much effort and time working out in a gym. The so-called hyperbaric chamber is utilized in the procedure where the individual is required to go inside the machine for a certain period of time. The equipment produces a rapid alteration in pressure capacity, thus, enabling the body to continuously relax and compress simultaneously based on how the pressure or altitude changes. During the process, the entire internal body activity can also be viewed to check and update the responses of each part to the contraction including the muscle reactions, blood circulation, cell activities, and organ functions. The good thing about the machine is that you can actually breathe naturally fresh air inside with no blending of any chemical component. The procedure is done at a minimum span of 20 minutes and should be performed at least every two up to three times weekly in order to fully attain the change that you really want to achieve. CVAC can provide you with various positive changes in your body particularly in terms of physical conditioning such as stimulation of mitochondrial biogenesis and helps your cell production. To know more about these amazing services, email us at info@ascent-oc.com or call us at 949 474 4404 and we can assist you with the best service that you need.